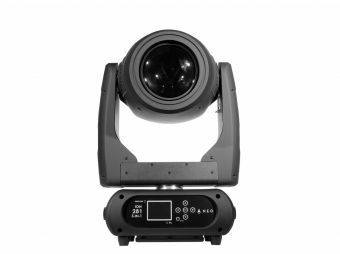 MSR Platinum 35 ST lamp has been specifically designed for studio and theater applications, where a powerful, high-quality projection with excellent color rendering are essential. Light and compact, giving lighting designers far greater freedom, this lamps also allows the design of smaller yet powerful fixtures. 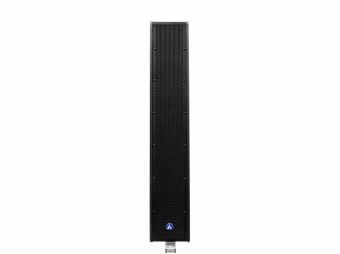 Thanks to its powerful output, evidenced by its performance of 13,000 Lux at 65 feets, Follower 35ST is ideal for large-scale applications. With an efficient projection distance of 50 to 200 meters, there is no follower application that can not be covered by this fixture. With a 5.5º-17º zoom, manual CTO adjustment, 6 color filters, manual shutter, framing and frost, this fixture provides - in addition to its outstanding performance - great operating versatility. Follower 35ST is designed to empower the most demanding designs in the industry. Follower 35ST is a professional followspot powered by a Philips Platinum® 35ST lamp featuring manual linear dimming, CTO and 6 interchangeable color filters. The unit also sport manual iris, framing, zoom and focus, delivering a tremendous output of 13,031 Lux @ 20m (64 ft.) at a 5,5º beam angle. Follower 35ST has an effective projection distance range of 50-200 meters, making it the ideal solution for stadiums and all kind of large-scale applications. Dimensions: 461x1049x402 mm. / 18x41.2x15.8 in. Weight: 36.7 Kg. / 81 Lbs.